When Terror Hits, This is How We React. 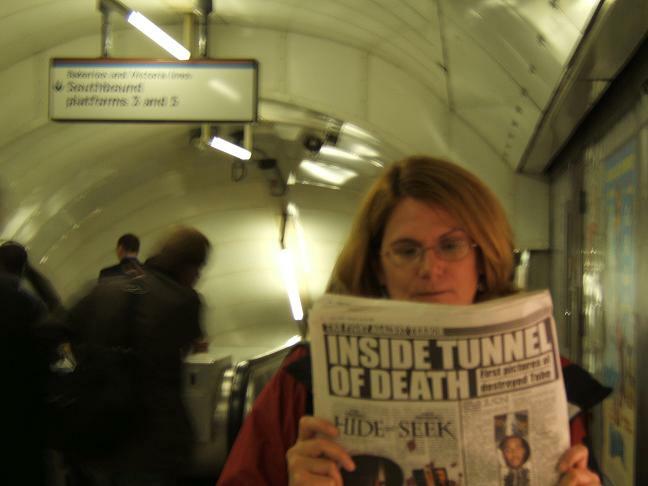 My brave daughter took this photograph during our trip to London. We enjoyed every moment and were inspired by the people of that city. My daughter was with me again when we heard the news about Boston, a lovely liberal and tolerant city close by that we know well. Our first thought “Boston does not deserve this.” No city deserves this, but Boston is a multicultural city that is accepting of the world, filled with students from around the globe here to engage in that most democratic and important of functions, education. It is a city that represents the best in education to the world, with MIT, Harvard, Tufts, and so many other wonderful colleges and universities. The people of Boston, reacted with professionalism and intelligence to a situation that makes no sense. I am proud of Boston, and plan to visit as soon as possible with my daughter. We react this way to terrorism, we react this way to hate, we react this way when someone says “be afraid”. We refuse to let anyone dictate to us, just as the people of Boston did so many years ago when they helped start a revolution that changed the world. The birthplace of democracy, will refused to be cowed by a few bombs. Like London, we Keep Calm and Carry On. « Tea aisle, or medicine aisle?